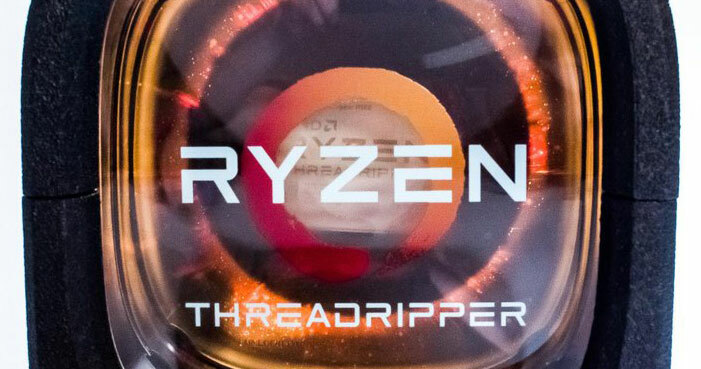 AMD has taken to Twitter to tease us with its eye catching Ryzen Threadripper processor packaging. The retail product packaging is really unique and probably not something that you will casually throw into your recycling bin. There is talk that certain Ryzen Threadripper processors will come bundled with an AiO cooler, and with this sizable packaging that would indeed be a possibility. The original Twitter picture is pleasingly clear and large but while you can see inside the box, all that is revealed through the plastic window is the processor heatspreader. 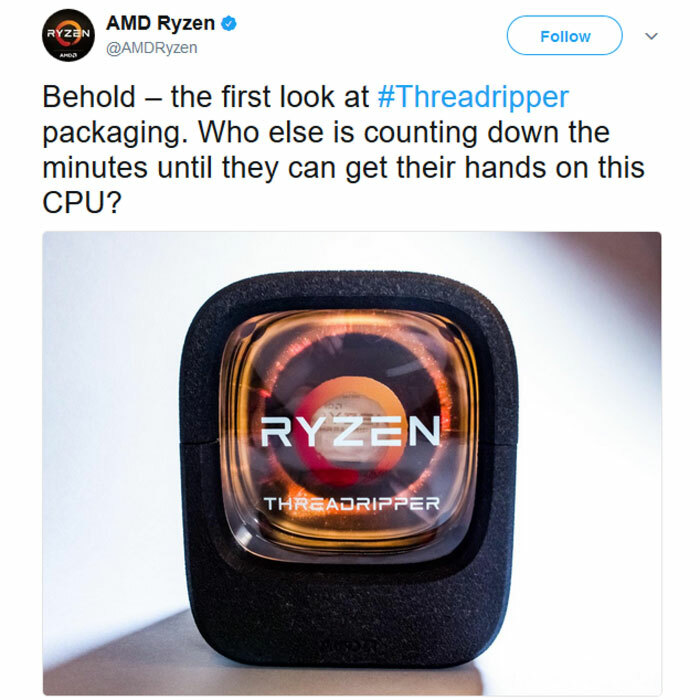 In comments upon its own post AMD confirmed that "yes, yes it is" actually the retail packaging for Ryzen Threadripper that had been published. AMD also took the opportunity to remind us that Ryzen Threadripper is "great for the content creator," and that it will be launching its most accessible Ryzen CPUs yet, the Ryzen 3 chips, this Thursday. As the official AMD Ryzen account on Twitter unleashed the above imagery, simultaneously CEO Dr Lisa Su uploaded a picture to give us some scale and context. 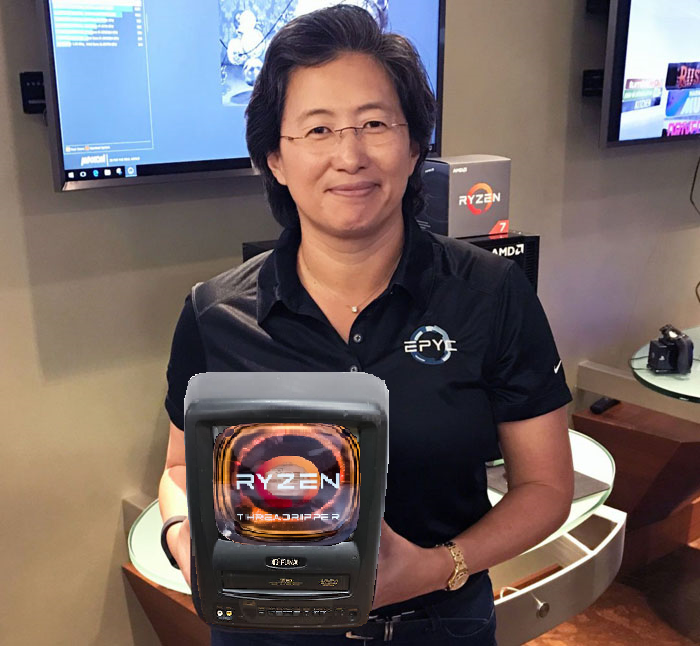 Below you can see Dr Su holding one of the Threadripper boxes. I'd estimate that the Threadripper packaging measures about 18cm wide by 24cm tall and 14cm deep. The AMD CEO said she was super excited about getting ready to ship Ryzen Threadripper, and that we will be hearing more about this processor and Radeon Vega at SIGGRAPH 2017. 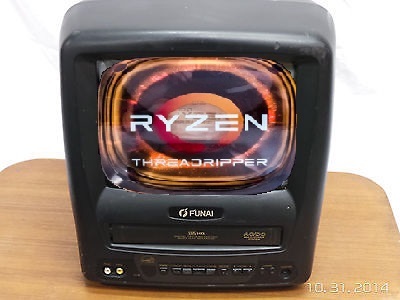 AMD has confirmed that Threadripper "will be on shelf in early August" but if you desire greater exactitude Hermitage Akihabara, via VideoCardz, names the release date and time as 10th August 2pm BST, 6am PST. Meanwhile if you are looking at motherboard choices for your intended Threadripper build, Asus is teasing its RoG Zenith Xtreme X399. I'm going to wait for someone to build an entire PC inside that funky package. I'm thrilled by AMD's comeback, and even bought a Ryzen 5, but does anyone actually care about this type of guff? A news post about the packaging a CPU is going to be released in? That's some seriously weak tea, Hexus. I'd estimate that the Threadripper packaging measures about 18cm wide by 24cm tall and 14cm deep. That's a very impressive estimate!